We all know what amalgam is, but most of us have only ever heard of it referred to as a "silver filling". Yes, those hideous gray fillings that make it obvious that we have cavities. I started getting amalgam fillings by the time I was 8, and had a whopping 12 by the time I was 18! Needless to say, I was very self-conscious about my teeth. The reason why I had so many cavities is a totally different story, which I will address in a later blog post. As I began learning about health and nutrition, I kept hearing the word amalgam. So, I eventually started to research it, and wow- I was blown away, disgusted, and incredibly scared. 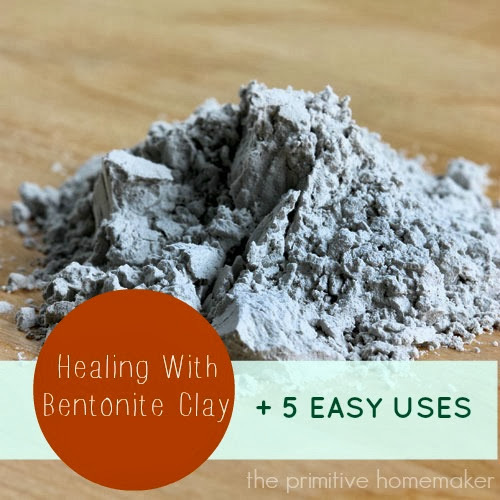 What is Bentonite Clay, You Ask? Well, it's clay! As in clay from the earth- the same clay that people have used for centuries to make pottery. One thing most people don't know is that the same folks that used clay for pottery thousands of years ago, also used it medicinally. Yes, that's right- people have been eating clay for thousands of years! 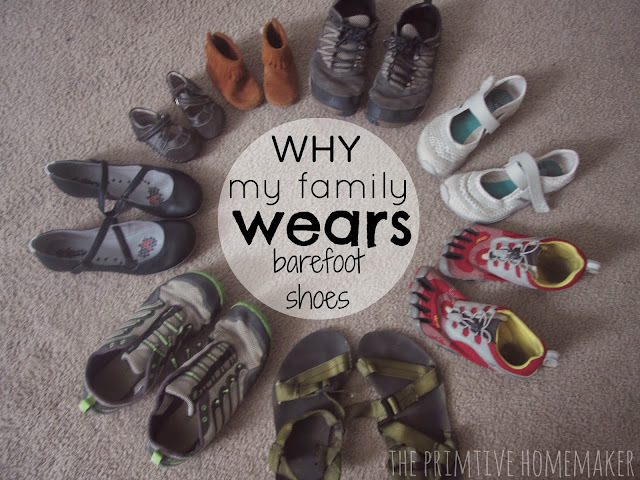 Over the past few years that I have used Bentonite, it seems as though it has consistently gained popularity. There are now soaps, toothpastes, and shampoos that contain bentonite. It is also a common ingredient is several popular detox and cleanse kits! So, I'm sure you're wondering where it comes from? Bentonite clay is sediment composed of weathered and aged volcanic ash. It is usually quarry mined from deposits ranging from 100 to several thousand feet. After being removed from the earth, it is dried, crushed, and granulated. When I first met my husband, he was a raw foodie. His diet consisted mostly of cacao smoothies, kale salads, and lots of fermented stuff. In one of his books I found some recipes for raw truffles that sounded delicious, but was too intimidated to try them. I just didn't understand how those ingredients could possibly make a "dough" and solidify into a "cookie"? 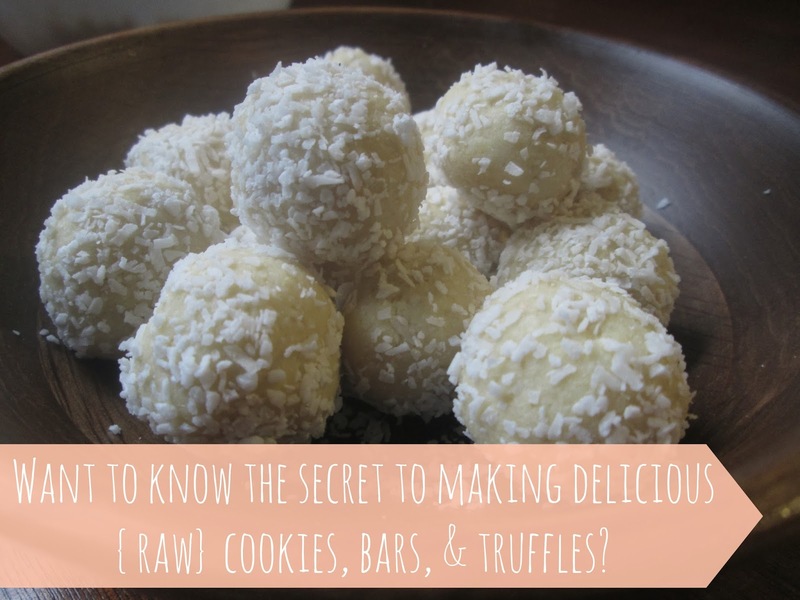 Many months later my lovely friend shared an incredibly simple raw truffle recipe with me. I was shocked... and absolutely hooked! Seriously. They were far better than any chocolate snack I had ever had. So, my curiosity led me to a great book in the library- see here. 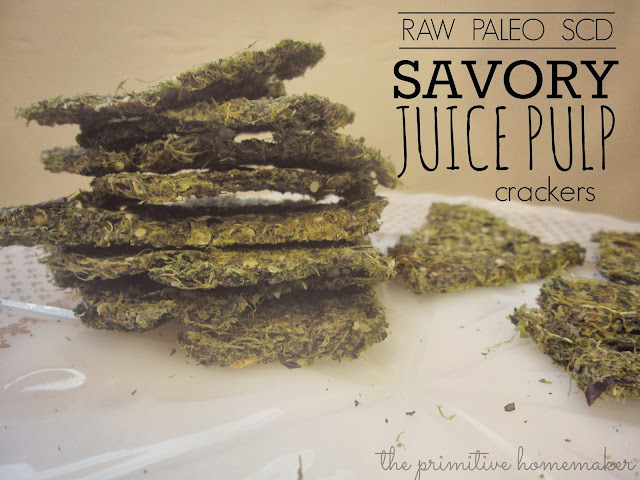 I tried a few of the recipes from the book, and quickly realized that raw desserts were just the most delicious, quick, and easy recipes ever. Pretty soon I started experimenting, and I found out that you can't mess these up! 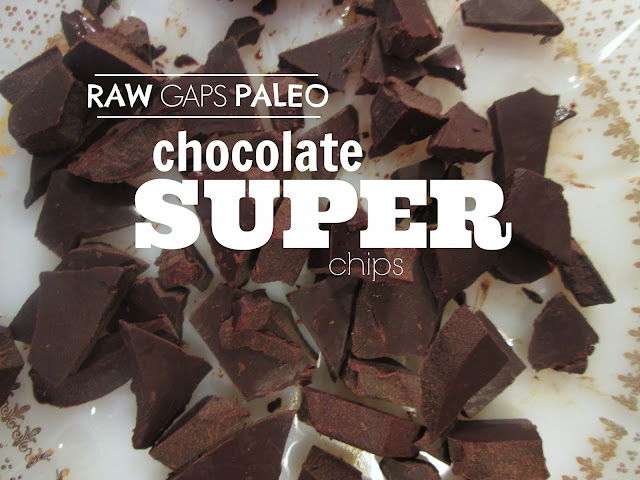 There is no such thing as exact proportions when making raw cookies, bars, or truffles. Not to mention that it is an absolute blast to experiment around with. So, if you've never made a raw dessert.. let's move out of your comfort zone and try something new today! You won't regret it. I'm going to share a few basic recipes to give you an idea of what the necessary ingredients are. There is a lot of room for deviation, creativity, and mistake with these recipes. Every time I buy a butternut squash from the grocery store, the person checking me out says "what do you do with these?!" I have been enjoying roasted butternut squash for so long, that it baffles me that there are people that have never tried it. 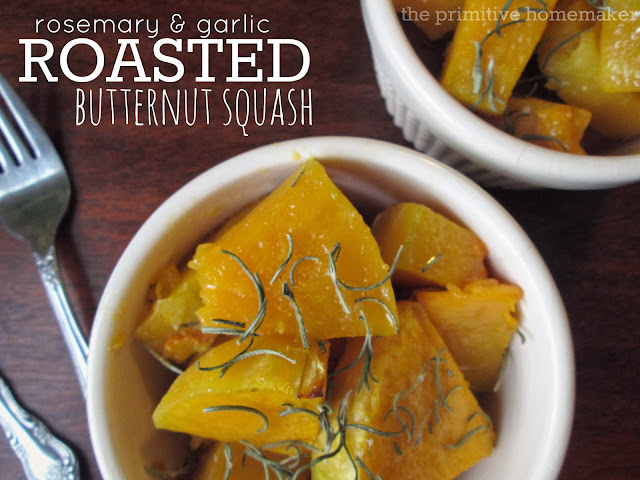 Like other vegetables, butternut squash takes on a very sweet flavor when roasted. It has such a warm flavor that can be paired with an array of flavor and spices. It also an incredibly easy side dish to whip up in a jiffy. My lovely husband did something wonderful this week; he ordered a whole bunch of superfoods from Earth Shift Products (website HERE) for us!! What a dandy deed that was. He's should be called "The Primitive Breadwinner". Anyhow, I'm stoked. I immediately started dreaming up recipes, and this turned out far better than I imagined it would. 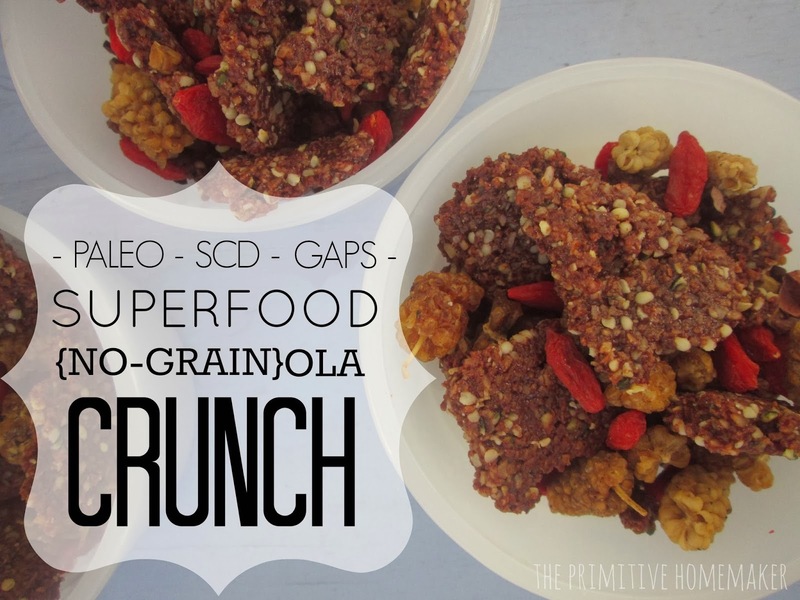 It's a great source of protein- and chock full of vitamins, minerals, enzymes and fiber! I have provided links to the exact ingredients I used, so you can learn more about each ingredient. 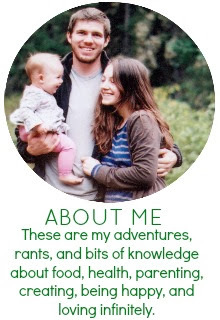 Earth Shift Products provides excellent nutritional information about their products. First of all, I would like to clear something up about my recipes. All of the recipes here are from my own imagination. If I am inspired my someone else's recipe, I will let you know- and provide a link to their blog! This recipe was a creation of my own. So, I pretty much just made it up as I went along. I hope that my recipes can inspire you to get in your kitchen and get creative. Most of my recipes don't have to be followed to the exact measurement or ingredient list. For this recipe, the cacao powder & nibs, goji's, and mulberry's are add-in's. If you don't have them, flavor it with what you do have- vanilla, almonds, raisins, chocolate chips, walnuts, cinnamon, etc. Before I started my "real food" journey, I had no idea what antioxidants were- but I knew they were good. I think that is the case for most people. "A great source of antioxidants" is printed in bold lettering on the packaging of healthy products, so it must be good. So, what the heck is an antioxidant? what does it do? and why is good for us? I've been contemplating this recipe for some time, and finally decided to go for it. 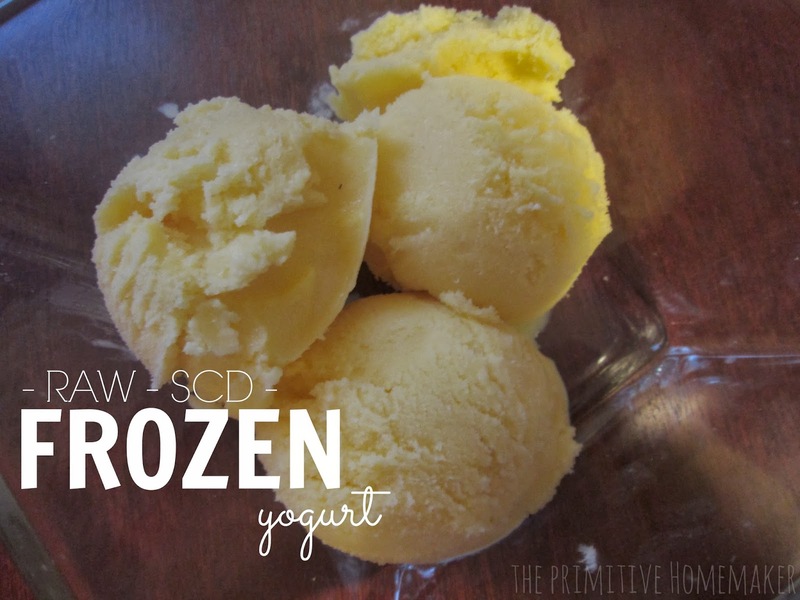 Needless to say, this will be a staple in my freezer from now on. If you're on the SCD, you are probably really missing ice-cream! My husband has been eating ice-cream fairly often, and it was starting to become near impossible to fight the urge to attack him and scarf down a few bites. I've pretty much mastered the art of making SCD yogurt, so I've been experimenting with different recipes it can be used in. If you haven't already, check out my (RAW) SCD Goat Yogurt recipe; that's what I used to makes these glorious golden scoops of goodness. Who doesn't like a good macaroon? 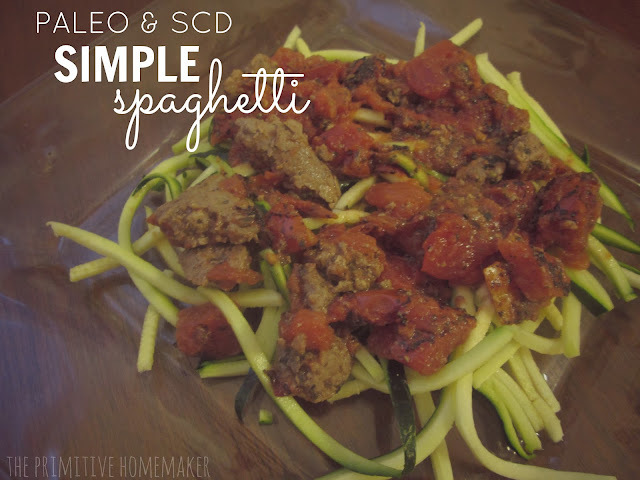 Their quick, easy, and so delicious. It was literally hard for me to photograph these without eating them all. My daughter was actually hovering over them while I was taking pictures, waiting for a chance to sneak one. I really like recipes that are versatile, and this one definitely is. 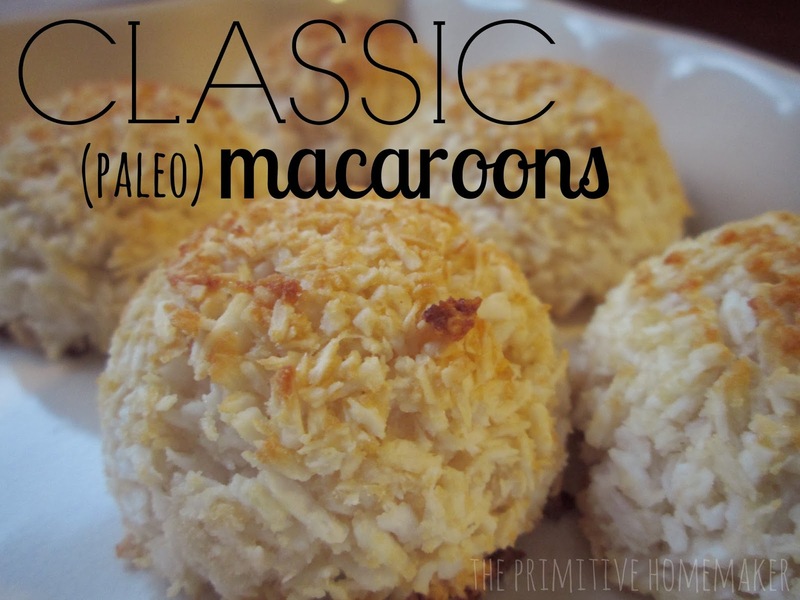 The flavor combinations and add-ins for macaroons are non-exhaustive. I made these two ways, to inspire you to try your own add-ins. 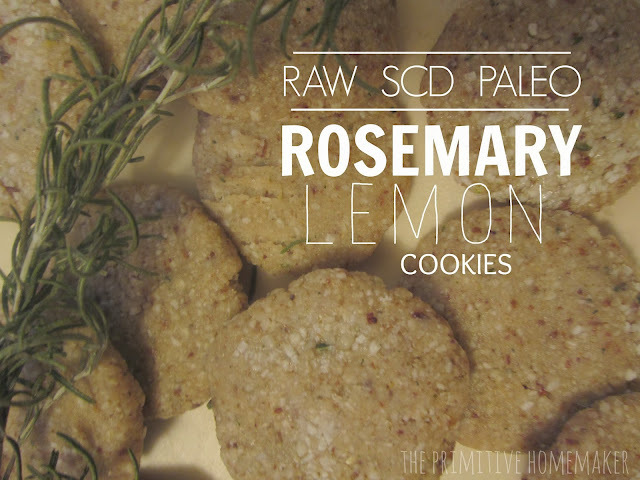 I always have the ingredients to make these cookies, and it's likely you do to. So, go ahead- check your pantry! I know you all must dying to know how to make this! 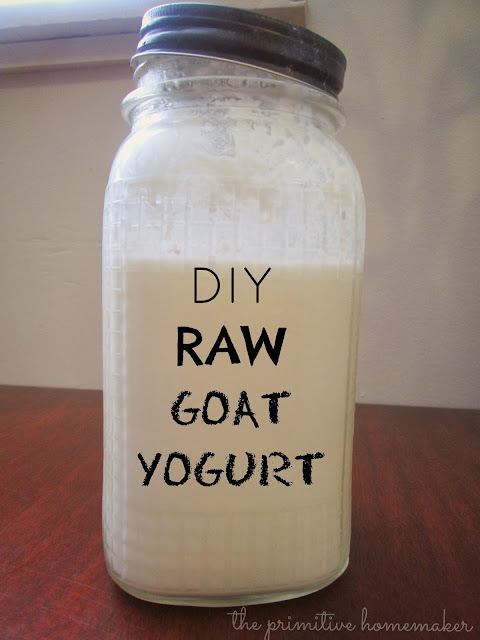 Raw goat yogurt- I mean, that just sounds like the superest super-food, huh? Not to mention that it's fermented for a full 24 hours in order to be SCD legal. I can't even explain how delicious this stuff is! The health benefits of it are nearly endless. Goat milk, in it's raw form, is one of the most complete foods we can consume. 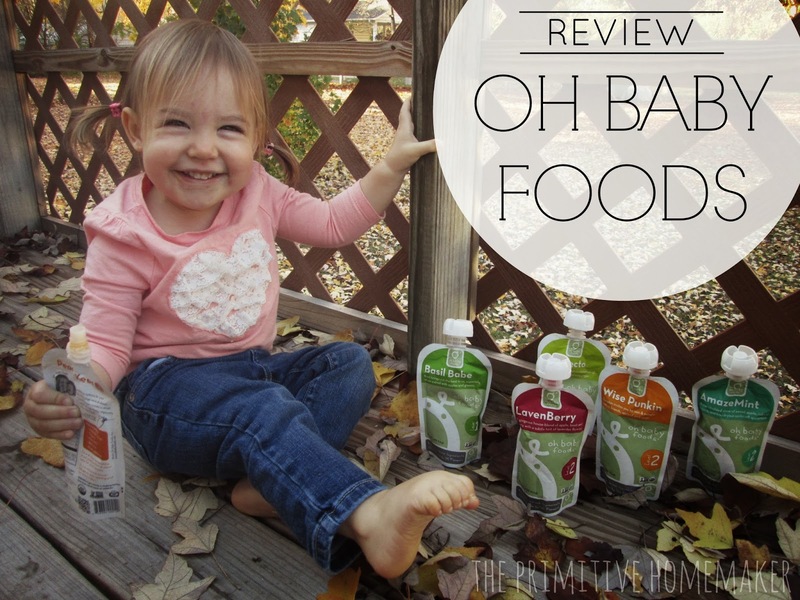 It's chock full of beneficial bacteria, enzymes, and minerals. It's also the only milk we can consume that is actually alkalizing! And I'm sure you all have heard that it's nearly identical to human milk. So, it's more easily digested and utilized. Click here to read about the benefits of goat milk. If you follow a paleo diet, you might also be wondering why I'm consuming this. Well, while I am 100% paleo in every other way- I deviate from the diet in this way. From the research I've done, I know that raw goat milk is good for me and nothing can change that. It's important to do your research, instead of blindly following a diet. Some of you may be thinking that it sounds insane to consume a raw yogurt. I mean, it came straight from the goat, and was fermented without ever being heated above 110 degrees. Isn't that dangerous? To be frank- NO. If you didn't know this already: raw milk isn't dangerous. It's actually pasteurized milk that poses dangers to our health. Here is some more information about the safety of raw milk. In a nutshell- if you heat milk, the beneficial bacteria is killed. The beneficial bacteria is what prevents harmful bacteria from growing. So, if we kill of the good bacteria, that makes it easier for harmful bacteria to grow. If the milk has been collected in a sanitary container, in a sanitary method, there should be no concerns about safety. If you have a raw milk source (preferably goat), consider yourself blessed. It's one of the healthiest foods you can nourish your body with. It's finally Fall, and you know what that means? Pumpkin flavored stuff! I've been getting bombarded with pumpkin stuff on Facebook and Pinterest, and the can of organic pumpkin puree in the pantry was starting to call me name. 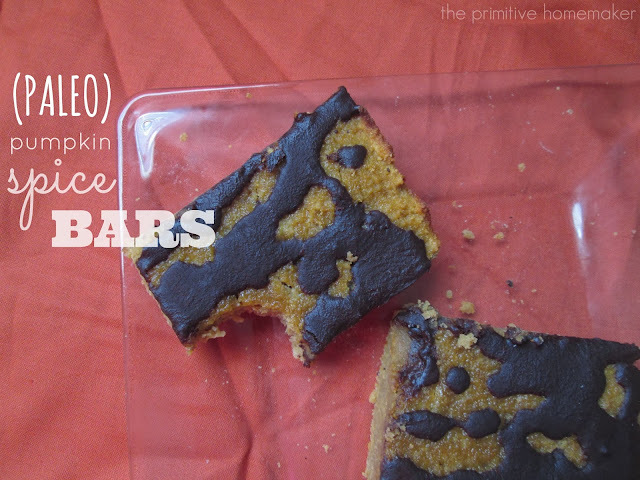 This was my first experiment with pumpkin anything since I've been on the SCD, and it turned out quite well. I will definitely be making these again. I got my inspiration from Elana over at Elana's Pantry. You can see her recipe here. 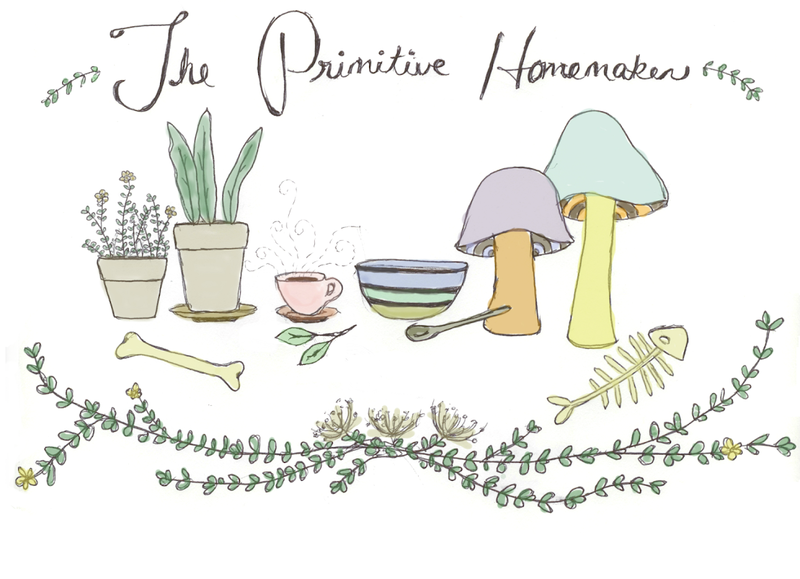 While you're there, you should browse a bit; she has some brilliant recipes. Like Elana, I recommend using your own roasted pumpkin. However, since this was an experiment, I didn't take the time to roast my own pumpkin. Because of the BPA liner in cans, it's best to use fresh ingredients when possible. 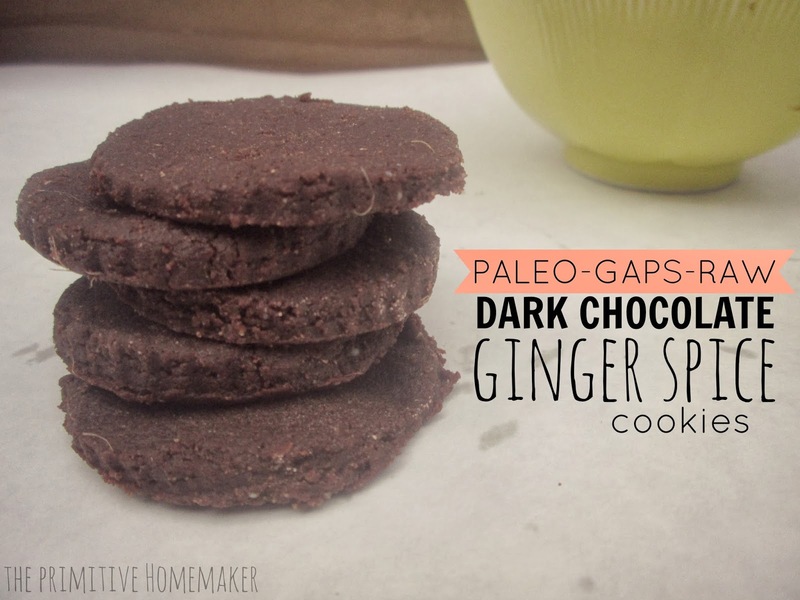 This recipe is both Paleo and GAPS friendly. If you leave the chocolate drizzle out, they're SCD friendly as well! If you're like me, you need sugar snacks to function. Personally, if I want to be successful on a restricted diet, I have to have healthy desserts on hand. I am currently following the Paleo and SCD diet, so I like to keep my meals simple. Most of the recipes that I'll be sharing here will be quite simple- using only about 4-7 ingredients. I have never been a fan of those complex gluten-free recipes that use 20 ingredients to make the end product bread-like. You know what I'm talking about. 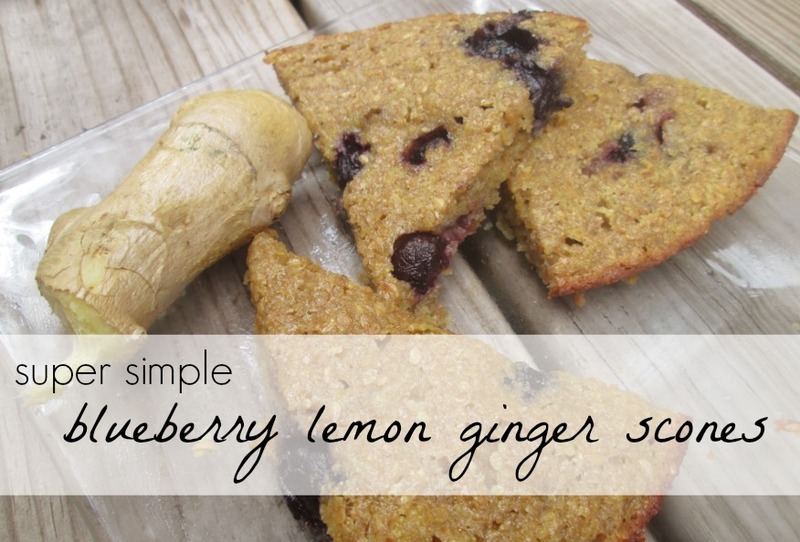 So, expect to see lots of these super simple, tasty, healthy recipes! 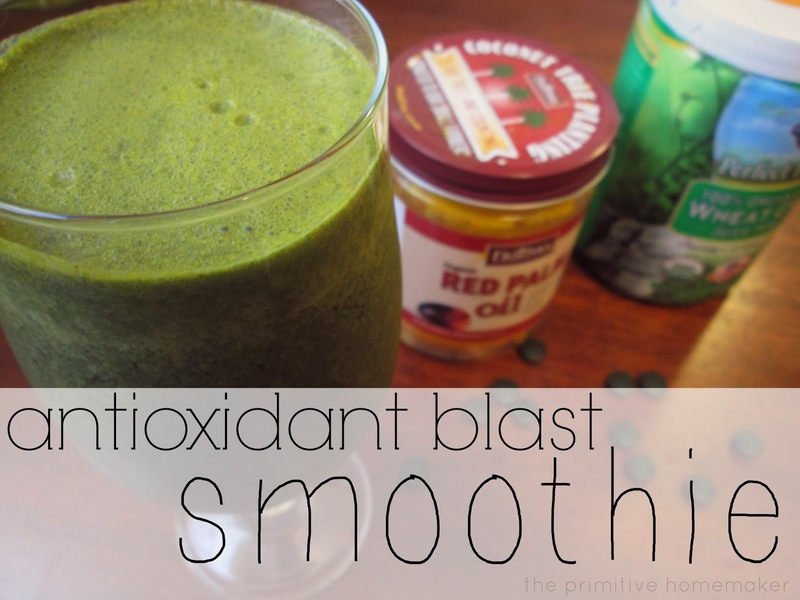 This one is one of the quickest, easiest, and most delicious. It's rich, creamy, and (best of all) healthy! There are a million variations of this recipes on Pinterest, and I'm sure they are all great. However, I like to stick to these basic 4 ingredients. The great thing about simple recipes like this, is that you can add whatever flavors/extras you want. For example: cacao nibs, nut/seed butter, vanilla, mesquite, maca, chia seeds, etc. 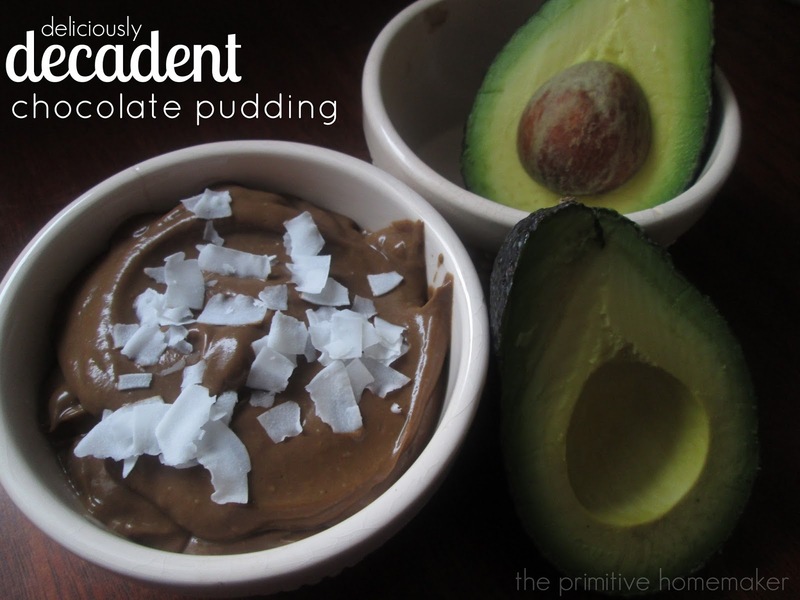 And lastly, let me ease your fears about the combination of avocado and chocolate. It's incredible. If you're too scared to try it.. you're seriously missing out. Well hey there! As you've probably noticed, my blog is still under construction. when my little one is hanging on to my legs, and pleading for my attention. 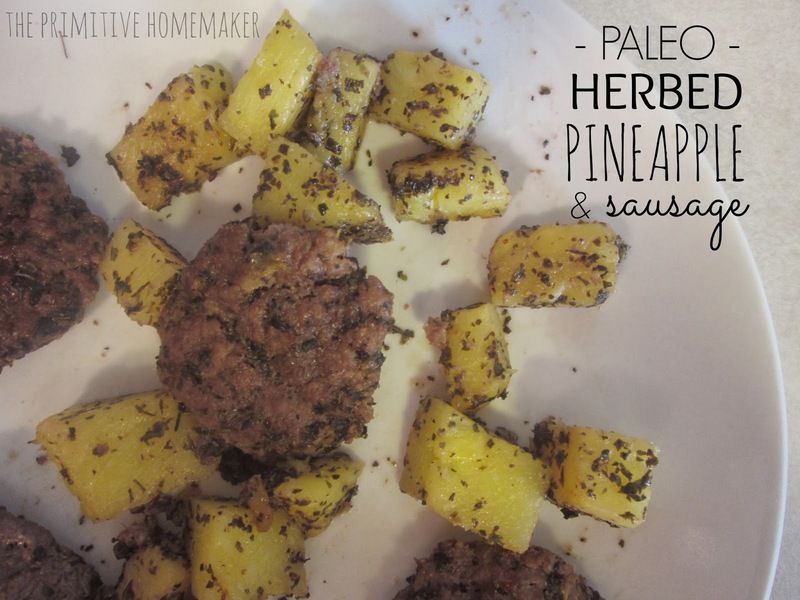 Anyhow, I decided to put together this recipe post to see what it would look like. sugar-free, gluten-free, wheat-free, soy-free, and dairy-free!